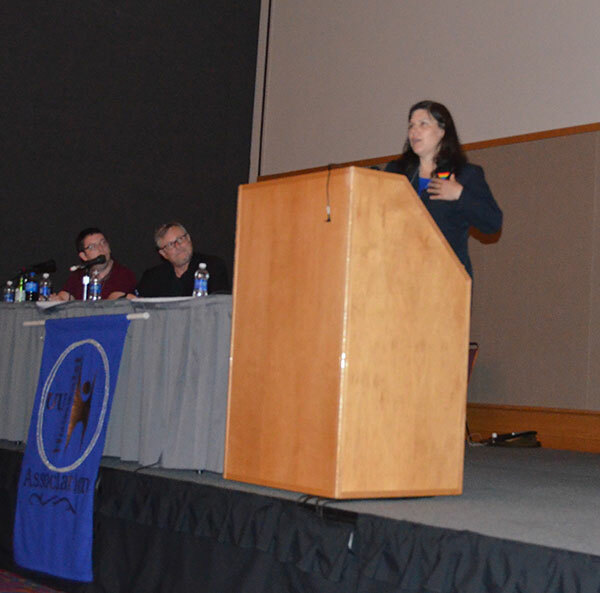 This is my presentation from the "Freethinker Friendly" part of the "Serving the Nonreligious" program at the 2015 UUA General Assembly in Portland, OR on Friday, June 26. I am Maria Greene, the part-time Executive Director of the UU Humanist Association. 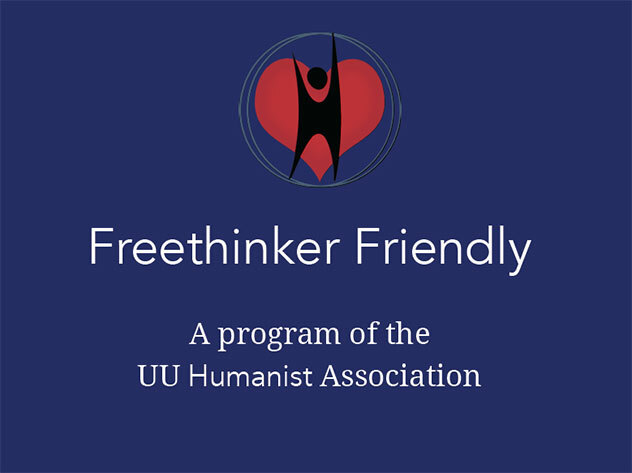 Freethinker Friendly is a program of the UU Humanist Association with the goal of helping congregations communicate to their communities that they are welcoming to atheist, agnostic, humanist, and other freethinkers. You can find out more about the program and register your interest on the Programs > Freethinker Friendly page of this website. Listened to the audio on this link (no video was present) and I am enthused. Agree with your mission and points. I grow weary of too much "translating". And we can't expect the youth at the start of our services to know how to do this. In addition to the RE and OWL programs, One key point that I have been touting is the UU church is a bridge for many freethinkers coming out of a church community that they were brought in to a more secular community and mindset. I know I would have been hesitant to jump into the Oasis atheist world right off the bat. That is what separates us from the Oasis group. Also for those families that may have a mixed belief household between the 2 adults, it is a nice compromise. Keep up the great work and we are ready to get started. And much like you were not aware of the UU church just miles from your house I was not aware this association existed and I have been a UU for 15 years. Maybe I am guilty of not look hard enough but have you explores how the UU humanist Association can have a permanent presence in the UU World magazine (perhaps a monthly column with a clear title heading and logo).